It’s Monday morning, and you know what that means – despair and confusion. Oh, and a fabulous wholesaler wrap by your good friends at Travel Weekly! Premium tour operator Travelmarvel has launched their 2019 Canada and Alaska brochure, featuring more than 30 incredible journeys covering Canada’s West Coast and the Rocky Mountains; the East Coast and New England; Alaska’s Inside Passage; and USA rail adventures. Book now to take advantage of a great range of exclusive Earlybird deals which are available for a limited time until sold out. There is a special Fly Free deal when guests book the new Highlights of the Rockies & Alaska Cruise. 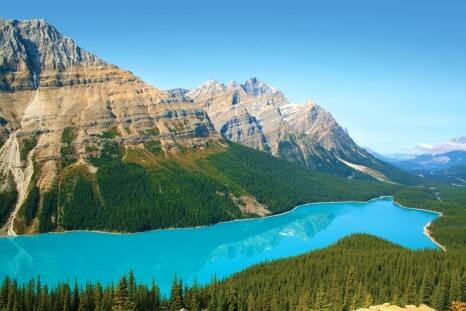 This 17-day journey explores the unsurpassed natural beauty of the Canadian Rockies before boarding a Holland America Line ship for a seven-night cruise of Alaska’s Inside Passage. This unmissable new adventure starts at $7,295 per person twin share. Travelmarvel’s best-selling Canada and Alaska holiday, the 21-day Reflections of the Rockies & Alaska Cruise, has a special two for one Airfare deal. This popular itinerary, beginning at $9,295 per person twin share, includes stays in Banff, Vancouver, Jasper, Whistler and Victoria and SilverLeaf travel on the Rocky Mountaineer before embarking on the Alaska cruise. The Fly Free deal is also available on the 25-day Canada Discovery with Alaska Cruise. Beginning at $11,895 per person twin share, this new journey includes in depth explorations of both Eastern and Western Canada, staying in premium accommodation, as well as the Alaska cruise which calls in at Ketchikan, Juneau and the Hubbard Glacier. Insight Vacations, an award-winning global leader in premium escorted journeys continues its 40th Anniversary celebration with special anniversary pricing on their Autumn, Winter and Spring journeys. The secret is out – trends show that travelling during the quieter season comes with some extra perks and more time to explore the seasonal beauty of Europe, from the vibrant autumn colours, enchanting winter wonderlands and the prettiest spring blooms. Travellers can explore their favourite destinations with fewer crowds, milder temperatures and more opportunities to connect with locals. 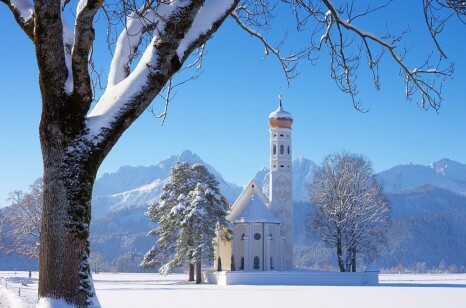 They can also experience the magic of these seasons through tasting seasonal treats and shopping for handcrafted gifts at the famous Christmas Markets unique to Europe. Guests can choose from a wide selection of trips including Britain and Ireland, Spain, Portugal and Morocco, Greece, Eastern Europe, the Mediterranean and Christmas markets trips. The collection now includes trips to Egypt, Jordan and Israel. 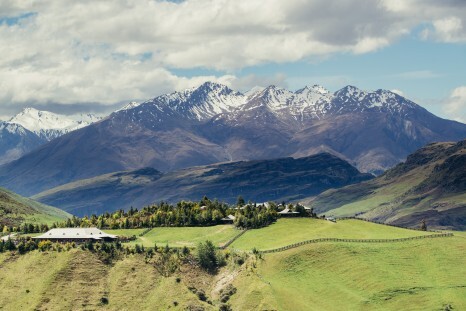 New Zealand’s leading cycling holiday specialist, Adventure South NZ, have guaranteed all Alps to Ocean cycling departures for the 2018/2019 season plus two of its Queenstown Otago Rail trail departures – which is great news for Aussie travellers keen to take advantage of early bird flight deals. Adventure South NZ, General Manager, Phil Wyndham, says travellers keen to join these iconic cycling itineraries for the 2018/19 season can go ahead and book their return flights, knowing that these trips are guaranteed to run.The 2018/19 season runs from October to March. Departing from Christchurch, the six-day, fully supported Alps to Ocean Cycle itinerary explores some of the most scenic and diverse landscapes in New Zealand’s South Island. 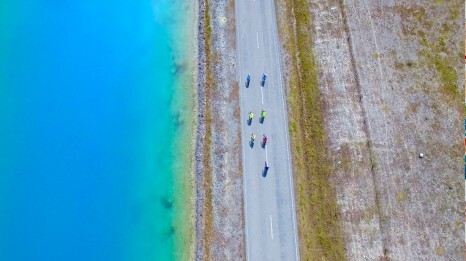 The world-famous cycle trail is New Zealand in all its beauty – from the peaks of its highest mountain, Aoraki/ Mount Cook, past stunning turquoise lakes and rivers and down to the Pacific Ocean. 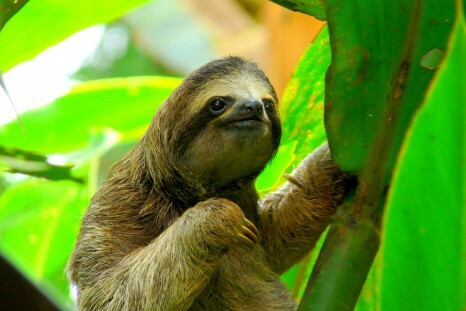 Book a trip to Costa Rica and sponsor a sloth with Explore! Until 31 May 2018, with each Costa Rica trip booked, Explore will sponsor a sloth in the Manuel Antonio National Park. Costa Rica is home to an abundance of wildlife in lush rainforests. The country is a tropical paradise where you can zip-line through the jungle, discover volcanic peaks and relax on white-sand beaches. Above all, you’ll be able to see the country’s unique wildlife in its natural habitat. Andrew Eddy, Brand Leader AU/NZ for Explore Worldwide, said Explore are proud to be supporting a rescue and rehabilitation centre in Manuel Antonio National Park in Costa Rica through Kids Saving the Rainforest (KSTR); a project that you could visit during your trip to see the fantastic work being done and the sloths they care for. Simply book your trip to Costa Rica before 31 May quoting ‘Sponsor a Sloth’ and Explore will sponsor a sloth on your behalf. Bentours has launched a flash sale on peak European summer escorted coach tours, with 15 per cent solid savings – equating to savings up to A$3200//NZ$3585 per couple! As part of Bentours 40 years of travel anniversary, the sale is targeting last minute bookings for this May-Sept 2018. 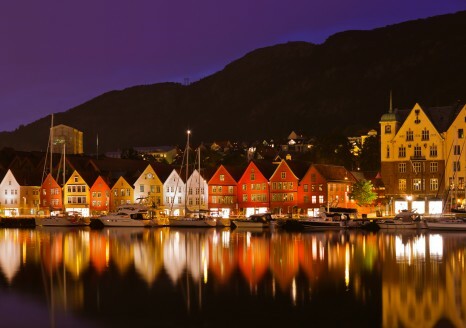 With 14 coach tours on sale throughout Scandinavia, Baltics & Russia – there are multiple travel dates available on a first come first served basis. These last seats in escorted coach tours will sell quickly and are available to book until 31 May 2018. Included in the deal is Bentours Scenes of the North, which has modules from six to 22 days. On the 22 day itinerary travellers will experience the diverse delights of Scandinavia, Finland, Estonia and Russia while saving A$1595//NZ$1785 per person. With prices now starting from A$9035//NZ$10,120 per person twin share this tour includes 21 nights accommodation with 5 star hotels in capital cities, 21 breakfasts, six dinners and all guided sightseeing. Visit two of Central Otago’s most spectacular and unique luxury retreats, Matakauri Lodge and Mahu Whenua Lodge, on one sublime South Island adventure when you reserve the Tried, True and Something New Package. With four nights at the acclaimed “tried and true” Matakauri Lodge and three nights experiencing “something new” at the recently unveiled Mahu Whenua Lodge, this truly is the South Island at its best. Tried and True… Just seven minutes from bustling Queenstown, Matakauri Lodge is an established favourite. Dramatically positioned on the edge of Lake Wakatipu, this cosy lakeside retreat offers mesmerising panoramic views of the lake and the big three: The Remarkables, and Cecil and Walter Peaks. Something New… Serenely positioned in what has been somewhat of a local secret, Mahu Whenua Lodge is a new and exciting luxury alpine lodge experience. Set amidst 136,000 acres of the largest private conservation project in New Zealand’s history, yet just 25 minutes from Wanaka, this high country lodge offers a large and impressive homestead with four private luxurious suites. The package includes seven special nights in two unforgettable locations – Matakauri Lodge and Mahu Whenua – this is the best of both worlds. The Tried, True and Something New tariff is NZ$13,590 inclusive of GST for seven nights, based on double or twin occupancy, with all the inclusions outlined below. A range of additional activities, which vary according to the season, can be priced and added separately. The experts in tailor-made holidays, Adventure World Travel, has launched 11 unique small group journeys to India, offering travellers completely one-off, 100 per cent guaranteed trips in 2018 and 2019. All special journeys are led by an expert resource, celebrated in their field of expertise. The brand new specially curated journeys, are led by local experts and focus on cultural interactions with locals as well as authentic cuisine experiences in the vibrant country. From experiencing the rich collection of Indian teas at a tea plantation, to learning the treasures of modern and ancient Indian literature, history and art; as well as enjoying the festival of colours during Holi festival – each trip has a specific purpose to leave travellers with a little more knowledge and appreciation into the essence of India. 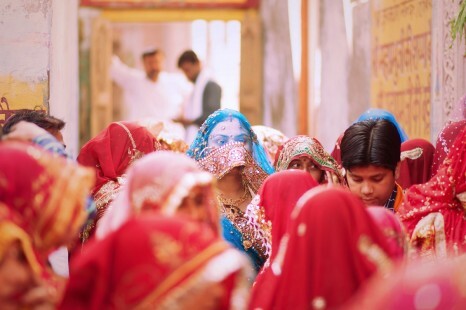 The Big Fat Indian Wedding 10-day itinerary is set to be highly popular among those looking for an immersive experience. Indian weddings are traditionally multi-day affairs and involve many intricate ceremonies, such as the painting of the hands and feet of the bride, called a mehndi. Commencing 14 November 2018, guests will experience all the fun and colour involved in wishing the newly-weds good luck, complete with an involvement of rituals and the chance to savour local delicacies at the ceremony. Each journey is a set departure with a maximum of 12 guests, and the exclusive opportunity runs once only. The small group journeys are led by local guides, each trip with their own dedicated guide an expert with decades of experience and deeply connected in their chosen field. The state tourism departments of Idaho, Montana, North Dakota, South Dakota and Wyoming are pleased to announce their new regional cooperative name and brand identity in the international marketplace as The Great American West. 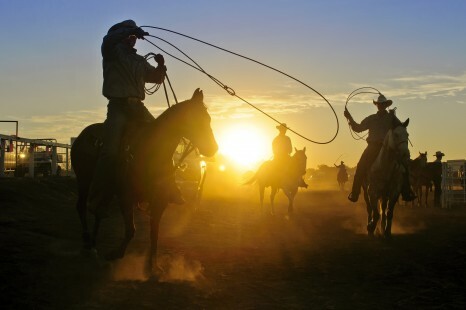 Since forming the multi-state cooperative in the early 1990s, the regional destination has appealed to the international traveller for over 27 years under the former brand, The Real America, capitalizing on their vast unspoiled landscapes, abounding wildlife, western heritage and inspiring national icons. The new name, brand and logo reflect the regional cooperative’s broader commitment to marketing internationally as a top U.S. travel destination. The Great American West states are home to numerous national parks, monuments and memorials that preserve the nation’s natural resources and rich heritage. Over the last four years, the regional cooperative has been working to conduct in-depth research within the international marketplace to identify a brand that better connects the region to these natural wonders. Take advantage of this $675 per person discount on an eight-day itinerary and discover Kenya by air at a more affordable price. The safari takes off from the coastal town of Mombasa in a luxury private plane, flying to Tsavo East for a night where you can experience the dusty, red elephants – often in very large herds, a genuine rarity these days. Subsequently fly to Tsavo West, where you will stay for two nights before flying over the ever-changing Kenyan landscapes to Amboseli, right on the slopes of Mount Kilimanjaro. Here you will stay for two nights before experiencing the abundant wildlife, and classic safari-scapes of the Masai Mara for a further two nights. The itinerary comes to an end in the capital city, Nairobi. All meals on safari, national park fees, two bush sundowners, as well as luxury air transfers are included within the price, travelling in a luxury Cessna Caravan. 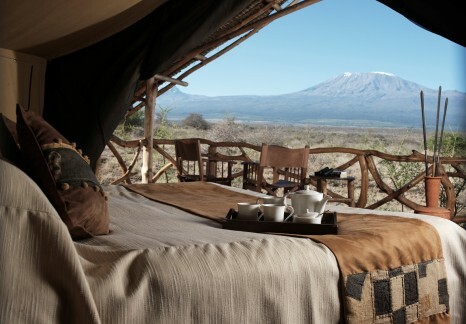 Also incorporated is seven nights’ accommodation, a community visit and varied game viewing activities. Price is per person twin share based on travel in November 2018. This is a limited time offer, applicable for any bookings made between 01 May and 31 May 2018. Conditions apply. Luxperience and Tourism Australia team up in "Diamond Partnership"